So far, today is shaping up to be a nice, slow/quiet day – so far. Yesterday was one of those “I can’t seem to get it together” days – ever have one of those? It started out with me driving middle son to get a rental car (we took his car in the shop last Friday, but he didn’t need a car until Monday). Went to the rental place and they didn’t have any economy-sized cars – sent us across town to another Hertz place. (Discovered Hertz has a AAA discount; I use Enterprise, but son needs every discount he can get). Next Hertz place had EXACTLY what he needed – in fact, the car they rented to him is an EXACT copy of his car! A 2011 Honda Civic in a really funny/rare color – looks like sea foam green (forgot the original name). How unique, eh? He decided he wanted a little “Mom Time”, so we went out to breakfast together. Actually, it was another goofy run-around thing. Started at 3 Guys Burgers & Fries (his choice) – we were there at 10:37, they don’t open until 11 – NEXT! Went to another little local diner really close to our house only to find out they’re out of business! He used his Sirius locator and we ended up at IHOP – a bit of a ways from where we were, but we had a great meal: both of us had the ‘special’: 2 eggs, hash browns, 2 bacon/or sausage, 2 pancakes. He tried their new feature: Cinnabun pancakes (they looked great but he said I would have found them WAY too sweet – he’s right!) I had their original buttermilk pancakes with their butter pecan syrup – YUMMM! Next stop for me was Krogers – lots of groceries, got home really tired! Managed a 10 minute ‘sit-down’ before driving to pick up youngest from school, then to a local store for something he needed, then stopped at his work to check his hours. 45 minutes later (while I was taking a wee nap) it was time to get up and drive him to work (before 4 p.m.). I REALLY needed a nap by this point, but was too tired to take one – ever been there? Rest of day was non-descript – fortunately! Today is another calm day – just picked up the dirty clothes & started laundry, still have to run the dishwasher – nothing special. Tonight is Knit/Crochet night and I’m bringing two bags of mini-candy bars for the ladies, to celebrate our 5 year anniversary! (It was actually yesterday, but who’s counting?) Hard to believe we’ve been together, every-other Tuesday night, for FIVE YEARS now! Neat! We started with 5 people and now are averaging around 13 -19 each meeting (more towards the Christmas holidays). I’m just happy we’re still together! There are still 2 of the original 5 who come almost every meeting – makes me happy. Well, our weather, as well as the area’s by now, is getting colder. It’s a sunny 58 balmy degrees out, a slight breeze and the leaves are starting to color up – especially the sugar Maples. I love seeing all the various colors on the trees, but (as you know) don’t like the fact that the outside temperatures are getting colder. Finally moved my Wandering Jew plant inside, the bright red geranium is still going strong – lots of flowers. I’m guessing another couple weeks before it’s too cold for it to survive. Starting to take out the warmer clothes – long sleeves, socks, etc. (I love wearing sandals all summer – bare feet!) While grocery shopping yesterday I started thinking colder meals: soups/stews – bought the ingredients for the White Bean Chili; that will be on our menu in the next couple days. (good for a tummy-warmer AND it lasts for a good 3-4 meals). are tender, about 15 minutes. & Cool Whip (save a couple T.
of Cool Whip for garnish). Polish sausage, cut into 1/2 in. 40-50 minutes or until bubbly. Beat yogurt & cream cheese with elec. until smooth, stopping to scrape down sides. minutes, until golden brown and center is set. Let cool 10 minutes then cut into 8 wedges. Been busy, lately, knitting more baby and premie hats – haven’t got word back yet from the lady at the hospital as to exactly what she wants/needs for the baby department so I figured I’d just ‘keep going’ – whatever she doesn’t need, I can ship to “Stitches from the Heart” (they take baby hats). That’s about it for things going on around here today – hope you have a GREAT day! Enjoy your ‘summer/fall’ – even IF it’s colder – the changing leaf colors are spectacular to see! It’s been a rather quiet day here, just doing the ‘regular’ things like washing/drying/folding clothes, picking up/dropping off son and picking up the house a bit. Just changed out the front Welcome sign from the red hearts to a Fall wreath, moved my Wandering Jew plant indoors – that’s one plant I’m still ‘in the dark’ about. It didn’t do well in the house and, in the Spring, I moved it outside with the warning: Grow or Die! – – – it chose to grow! Amazing! We’ll see how it does (or does NOT do) over the winter – I’ve told you before – I’m NO plant person! We’re currently awaiting the ‘TREE’ man – we have a huge (probably 30 ft, easy) black walnut tree in our back yard which is up against our fence. Yes, it throws tons of black walnuts all over the lawn (AND our neighbor’s yard). Apparently, it’s been bugging our neighbor – she called last week to tell us that there’s a branch hanging over her yard – she says the branch is cracked and, if it falls, will take out her sun porch – sigh. We’ll see what the TREE guy says – I’m still not sure just what my husband has decided; one minute he’s all for totally getting rid of the tree, the next it’s “we’ll just get it trimmed up and save the tree”. (Yes, I know that some people/company’s BUY trees for their wood, we had a company stop by about a year ago and tell us that they buy per foot upwards from the first branch DEPENDING on the staightness of the rest of the tree – the more straight – the more money.) Ours is not very straight. Ah, the fun of it all – – – sigh. We’ve never sprayed the tree, hence the nuts are wormy – the neighbor that used to live there when we moved in would collect the nuts, dry them and use them in baking – but they moved a good 12 years ago; neighbor now just thinks the tree is a nuisance. (after consult with tree guy) We all agreed to SAVE the black walnut – they’re going to ‘give it a hair cut’! He agreed it’s a very good, healthy tree – no reason to totally take it down. They can trim off branches, give it some ‘room’ AND (hopefully) not bug the neighbor with the branches by taking them up higher on her side. Along with the consult we ended up deciding to remove another tree AND have our front bushes trimmed up, too! YAY! I’m actually happy with the entire idea! The front bushes, alone, have been a big pain in my side for many years. I’m 5’4″ tall and for years the only way those bushes would be trimmed was by me standing on a short ladder and using the long hedge clippers AS FAR AS I COULD REACH! The last time I did that (a good 3 years ago) I could only reach about 3/4’s around & up the bushes – they ended up looking like they had MOHAWK hair cuts! They looked ridiculous! (I asked the male members of the family to ‘finish the job’ and trim the remaining branches but it never got done). Since that time the bushes have entirely gone WILD – I can’t see out our front door window (too much bush/branches in the way). This company is very reputable (have been in business since the late 1890’s!) and the man who came out is an Arborist from Michigan State College – he knows his TREES (& bushes!)!!! They’re going to call us for the date of all the work – around 2 weeks from now – I’m really glad we called them! combine potatoes & celery; set aside. top each serving with chopped nuts. expose stuffing, or leave each portion whole. & juice, if desired, in a small bowl. Pour over salad; toss gently to coat. Serve on lettuce-lined plates, if desired. zucchini, cottage cheese & butter. zucchini mixture just until combined. more minutes or until bubbly around edges. in 1 T. melted butter; set aside. C. flour, baking powder & 6 T. sugar. refrigerated up to 2 days. An interesting fact from our area – I recently called a local hospital to see if they might need knit baby hats for their newborns. I was informed that (due to changes) only ONE of the three hospitals in our area delivers babies! Amazing! I spoke with a very nice woman there who was very excited about the idea but has to run it by several other people first. I’m working on a few – have 2 done, 1 more almost done. We’ll see where this goes. Our weather is definately going towards Fall – leaves are slowly falling from the trees, no big color changes yet. It’s been getting cooler – right now, at 5 p.m. it’s 67 degrees F. Time to drag out the sweaters & sweatshirts, jacket-weather is fast approaching. I’m already seeing Halloween decorations and advertisements for creepy ‘places’ (haunted houses, etc). I guess you’d say I did my first ‘tribute to Fall’ the other day – I bought 3 caramel coated & nut covered apples! (LOVE those things – not good for my health, but I figure once a year isn’t too bad). I’ll close for now – enjoy your day – stay warm & cosy; relax a bit – maybe have a cup of something warm (tea/coffee/hot cider/cocoa) and put your feet up. ENJOY!!! Although our weather is slowly creeping towards colder temperatures, you might not notice due to the bright sunshine and gentle breezes. I like this time of year (sometimes) because you can open the windows and air out the house (not that you can’t do that in summer, but now the breezes are just the right temperature to not be too hot). It’s been a rather quiet weekend, nothing much ‘going on’ – knit 3 baby hats for Women & Teens Prenancy Center, crocheted about 9 squares for a baby blanket, but pretty much just relaxed. Yesterday found our church choir ‘back in action’ – we’ve had an almost 3-month ‘vacation’, so it was nice to be back to our routine. Afternoon found the choir holding their first choir practice of the new season and we have about 5 new members – that’s GREAT! (we could still use a few more men, but we’re still trying to recruit them – we’ll see how that goes). New people, new music, new challenges – I LOVE it – bring it on! As the season slowly changes, so go the incoming recipes – more ‘tailgating’/football/games/ recipes: dips, soups, stews and less of the fresh salads. Since I still have some summer-type recipes, think I’ll put them here just in case some of you (those in England – wink/wink), are going INTO summer and might be able to use them. serving to allow it to soften. to pkg directions may be substituted. pan; add seasonings & mix. & stir in tomatoes, onions & cheese. with feta cheese. Makes 4-6 servings. 1/2 tsp. dried basil or 2 tsp. salt to make water boil – 1-2 T.
and tender (about 4-5 minutes). bowl, add meat mixture to bowl. leave off cheese until ready to cook. dry ranch dressing; spread over corn. Cheddar cheese & bacon bits. thyme, salt & pepper in a small bowl. juice mixture in a large zip-top plastic bag. side or until pork is done. Set aside. slightly browned. Turn & cook 2 min. 1 T. juice mixture, tossing to coat. bubbly. Makes 5 Cups dip. grahams if necessary, to fit. melted, stirring after 1 minute. melted & mixture is well blended. to warm & clean the blade. Hope your weather is ‘cooperating’ and you’re enjoying your day. Remember to smile a little and relax a little – it makes our days much more enjoyable – right? I decided, yesterday, to see if I can knit up some ‘regular-sized’ baby hats (not premies); had a chat with a friend and she mentioned a local charity (Women & Teens Crisis Pregnancy Center) while we were talking. I have several friends who work there and they tell me the center has a ‘store’ where Moms can spend points towards items for their babies (not sure how it all works, but they assure me that they would love any hand made items). I started another crocheted apricot baby afghan in the X-pattern granny squares and will mix them with white squares. I love working on charity projects and this one can be an on-going project (along with the chemo caps); as I finish items I can just take them to church & give them to my friend who works at the center – neat! This not only gives me something to ‘do’, but also uses up some of my stash yarns (which, in turn, gives me reason to go find more yarn, on sale!) LOVE a bargain! Not much new around here, just put a pork roast in the crockpot – love that utensil; you can put a totally frozen roast in the crockpot in the morning and have a nice, fully-cooked roast by around 5-6 p.m. – YUM! Bought some nice, big baking potatoes the other day, so it looks like pork roast and baked potatoes! stewed tomatoes; bring to a boil. Reduce heat, simmer 30 minutes. brown, stirring frequently. Cool completely. Makes 1 C. seasoned croutons. high heat. Add bacon & onion; stir. occasionally. Add cabbage & broth, stir. in sour cream; top with peanuts. Serves 8.
bowl with wire whisk until well blended. before pouring into baking dish. heat 3-4 minutes; remove & keep warm. In large mixing bowl add 1/2 C.
2 1/2 C. flour, 4 T. cocoa, 1/2 tsp. zucchini to mixture; mix to combine. That’s it for today – sure hope it warms up some a little later! Today is a sort of ‘free’ day for me, it only involves driving my youngest son to various places: pick up from school, hair cut, work, pick up from work later – so I’m not complaining. I don’t really have a ‘set’ schedule for this day – am going to work on the baby afghan more, maybe knit another baby hat or experiment some with one, anyway. (Made one yesterday – outcome was OK, but am thinking of using a lighter-weight yarn for the next one). Stay warm and enjoy your day! I felt sad that I couldn’t photograph the last afghans which were brought in last night, but there was a time constraint. I brought in 22 at the beginning of the evening and then ladies began bringing in more – 17 more! It was a GREAT night of charity giving. 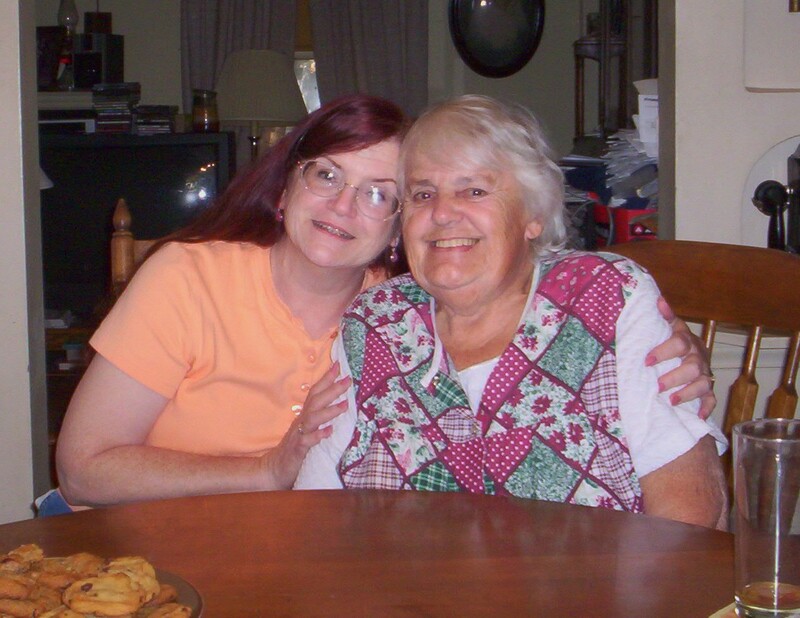 Yesterday was a VERY busy day in my household; the evening before, my dear friend Mary (“Momma” on her blog) called to ask if I/we would be home Monday around 2 p.m. (yes!). Earlier Sunday my oldest son & grandson had stopped by for a brief visit and a request: did we still have “THE Lego Collection”? (yes). “THE Lego Collection” is a compilation of all three boy’s Lego collections when they were growing up and it consists of TONS of Legos. Grandson is now interested in Legos and his Dad asked if we could pass them down to him (yes). I told him yesterday he is now the official “Keeper of the Lego Collection” – until one of the other boys has children (Oldest is not planning on any more children). I began, late Sunday night, going through the tubs of Legos, cleaning them up some (lots of bits of dust, old broken crayons, pencils, marbles, etc. in the boxes), putting heads/arms/hands & legs on many of the Lego people (there were a good 60? people, I’m guessing). Being a “Type A” personality (read that: GOT to have ORDER in my life – drives me nuts if things are willy-nilly), I had the inner need to make sure all the Lego people were ‘together’-having all their parts: heads, arms & hands, torso & legs. This took a great deal of time – I finally admitted I was exhausted at around 1 a.m. – with another tub to still go through. Monday early I was up ‘cleaning/sorting/fixing’ the Legos (wanted them DONE so that I could straighten up the house for my dear friend Mary!). Got it all done, baked 2 batches of cookies, made some lemonade and thought: “Now BRING ON THE VISITORS!” Mary got here around 2:20 p.m. and we chatted & sampled cookies – great visit. I had my husband take a few photos of us – Mary announced that we’ve been friends for over 42 years now (since Fall, 1969)! That’s doing something! As Mary & I were chatting at her truck, just before she was leaving, another vehicle pulled up – my oldest son & grandson here to see if I’d finished the Legos! My son said: “The first thing he said to me when he got out of school was – can we go see if Gramma Pam is done with the Legos?” It was one big rotating VISIT-thing! I loved it! To have one of my closest friends here AND my oldest son & grandson was a real TREAT! After they came in the house and checked out the Legos I announced that I hadn’t gotten all of the ‘stuff’ out from under the bunk beds (where the Legos ‘were’ living before cleaning) – that prompted my son to immediately crawl UNDER the bunk (I’m too ‘chubby’ to fit) and drag out all the miscellaneous Legos, papers, JUNK from under the bed – YAY! Finally it’s clear!!! While we were going through the ‘newly found’ Legos he discovered ANOTHER medium-sized box of Legos! I had only found one big ‘base’ plate and he kept saying: “I KNOW we have more bases than that!” so he kept looking and discovered another box with a good 8-10 BIG bases – I had totally forgotten they were there! He was saying: “I don’t remember a lot of THESE Legos – did you get more?” Then I remembered – right after I first joined Freecycle (an on line group – nationwide – that’s great for getting or getting rid of things you need/ or no longer need – for FREE – check it out: http://www.freecycle.org) I remember someone posting they had Legos they wanted to give away – I responded and there was a really BIG box of Legos/bases, etc. – that was where the REST of them came from. Needless to say – grandson is thrilled. We decided that we’d half the collection: half to his house, half says here for him to play with when he visits. When he gets older, they get passed on to the next grandchild/children. By the time they went home loaded down with boxes of Legos, I was totally exhausted! SOooooooo glad we still had some leftover lasagna – I was too pooped to cook! mayonnaise, cheese spread & basil. shell; layer 1/2 the ham strips. Spread mayonnaise mixture over all. Repeat layers: tomato, ham, cheese. fuss with the orange peels. half, between navel & stem end. orange juice to make one cup liquid. Jell-O mixture; beat a medium speed. heat 5 minutes, stirring frequently. salad. Serve immediately. Serves 6.
absorbed. Sprinkle top with cheese. butter; mixture will be crumbly. Stir in milk & egg until just moistened. steam). Place on lid over towels. let sit 30 minutes. Makes 8 servings. or until set. Serves 6-8. In large bowl, whisk first seven ingredients. juice into a liquid measuring cup. heat. Whisk until pudding is thickened. a small bowl until well-blended. about 2 hours before serving. It’s a lovely 75 degree sunny day out today – still feels like Fall, though – guess I’ll have to get used to the upcoming season. Tonight’s the big ‘turn in the baby afghans’ project – I’ll write about it soon. Hope you’re having a nice, relaxing day – remember to SMILE, RELAX and DO SOMETHING FOR YOU! Not sure how your weather is – but here in mid-Michigan, it’s really beginning to FEEL like Fall! Last night when I went to pick up youngest from his job (11 p.m.) it was 61 degrees outside. This morning going to church (8:50 a.m.) it was 56 degrees and right now (1:30 p.m.) it’s a ‘balmy’ 67 – “Toto, I don’t think we’re in Kansas anymore!” Remember, I’m still holding out for at least ONE Indian Summer day before we drive, full-force, into winter! It’s Sunday and youngest has completed his first week of ‘alternative’ high school AND first week of his new job – he seems to have survived well (if you don’t count the sprained ankle from his first day at work moving 80 lb. bags of dog food!). A purchased ankle brace and he’s doing much better – of course, typical teenager-thinking – he waited until he’d suffered for a good 3 DAYS before mentioning it – – – sigh. When I asked him last night after work how the brace was doing he said: “Totally AMAZING!” (that’s always good to hear!). It’s been a quiet week (always good!) – not much going on; made chicken Parmesan, homemade chicken pot pie, then BLT’s, then lasagna. Next is homemade pizza – but that’s for, probably, Tuesday or Wednesday night (we still have a good 1-2 days more of lasagna). I’m getting better at ‘planning ahead’ on meals – I knew that when I made the lasagna, it would take about 1 1/2 big bottles of Prego/Ragu spaghetti sauce – what to do with the extra 1/2 bottle? I remembered that when making Chicken Parmesan it took about 1/2 bottle – VOILA! An idea is hatched! While cooking hamburger for the lasagna, I cooked extra to use as topping for the homemade pizza – now I’m ‘usin’ my noggin’!’ (Around here I have a white erasable board on our freezer/fridge and I write the upcoming entrees for the week, according to what my freezer/fridge holds. Commonly the pizza is abreviated as HM Pizza – so the family now calls it “Her Magesty’s Pizza”. or until potatoes are tender. garnish with 16 red pepper strips. Cover with foil; bake 30 minutes. bowl; add dressing & toss to coat. chopped pecans or walnuts & 1/4 C.
Spread onto sheet of foil, cool. reserved butter; stir until melted. Reserve 1/2 tsp. lemon zest & 1 tsp. spoon over pie. Makes 10 servings. next 4 ingredients in large bowl. plates, if desired. Makes 4 servings. Cook rice accordg to pkg directions. spray; heat over medium-high heat. Enjoy your day – BIG HUGS! School’s IN – Here Comes FALL! The past few days have felt like Post-It Note days -those days when you feel like you’ve got lots of little pieces of paper with notes on them, all needing to be read & done. Things like making sure you call AAA to tell them to take the old car you just sold OFF of your insurance, or call to check WHY youngest son’s old student ID number isn’t working when trying to re-enroll him in the school lunch program – that kind of ‘stuff’. Turns out the entire school district just changed ALL student ID numbers (new program) – good thing I called, the secretary wasn’t 100% sure of how to work the new program, either! I managed – got the number, put him on for paid lunches: they have a system where you, as the parent, can go on-line and pre-pay for their lunches. It works great for me – then I don’t have to constantly remember to give him cash (that presupposes I HAVE cash!). Finally worked my way through all my little ‘gotta do’ things – think I’m clear – for now. Was thinking about what to make for dinner tonight (was leaning towards lasagna – have all the ingredients, just don’t seem to have the ‘want to’ to make it). While driving to the library to pick up some books I have on hold, passed the local fruit/veggie stand and thought: “BLT’s! PERFECT!” – so that’s what we’re doing. (Of course, didn’t remember until AFTER I got home, that I don’t have any “L” . . . lettuce, so guess they’ll be just BT’s! (With our guys, some like BLT’s, some just want BLC – bacon, lettuce, cheese – whatever – it all works. Tonight’s my special needs group – just finished rushing through getting the Sept/Oct. newsletters typed, printed & mailed. Was late getting them out, so I know I’ll be facing lots of: “I didn’t get my newsletter!” comments tonight – oh well . . .
9 x 13 pan. Refrigerate. In a bowl, whisk milk & pudding mix 2 minutes. Whip. Cover & freeze at least 2 hours. 1 fresh red chili pepper or 1-2 tsp. or until skins are blistered & bubbly. the pepper don’t burn your skin). cover & refrigerate up to 2 days. with elec. mixer until light & fluffy. using the handle of a wooden spoon. pans on wire racks. Makes 6 dozen. Preheat grill to medium setting. in refrigerator 1 hour, turning occasionally. coated with nonstick cooking spray. Â Cook peas in boiling water 30 seconds. Drain & rinse with cold water; drain. (through black pepper) in large bowl. if desired. Makes 4 servings. pour marinade over to cover veggies. Cover & chill for at least 30 minutes. Place carrots in buttered 1 1/2 qt. minutes or until brown on top. large roaster; cover with onions. minutes, turning at 15 minutes. place half between cooled layers. “The Brass Verdict” by Michael Connelly – great lawyer/trial story writer – lots of action, fast-paced (think I read it in a day, maybe 1 1/2 days). For Labor Day we didn’t do anything special – no ‘going away’, or cook outs – nothin’ but hanging around the house in our jammies for most of the day; sometimes holidays are for RELAXING!!! Our weather has been sort of ‘end of the summer-type’; yes, the thermometer says it’s in the WARM temperatures range, but it doesn’t feel like that. Today it’s in the mid 70’s but it’s also got a bit of a chill to it, kind of damp. I could tell by the puddles on the driveway that it had rained last night – maybe that’s where the humid part came in but it doesn’t FEEL like summer any more – sigh. I’m REALLY hoping we get an Indian Summer this year; for those of you who aren’t familiar with that term, here in Michigan we usually get one (or sometimes a few) really WARM/HOT days usually sometime in Sept/Oct. JUST BEFORE the really colder temperatures descend on us for the remainder of the Fall/Winter months. When those come, it feels like you’re back in the middle of a hot summer day – lots of nice, warm sun – just ‘the thing’ for those of us who love Summer; to me, it feels like a real ‘soul pick me up’ – it leaves me happy for just that little touch of warm weather before knowing we’re heading for colder weather from there on out. I can’t complain – I know that there are areas where the weather rarely changes, or they don’t get a well-defined FOUR SEASON year like we do here in Michigan. I like seeing the fall colors on the trees, taste the crisp fall apples, but that about covers it for me on Fall (I KNOW WINTER is coming!!!) Oh well, be happy for those things you have, right? Hope you have a great day – whether it’s a sunny, rainy, great or average day – ENJOY the time you have!! !